The scheme was opening up the route from York Railway Station to the famous York Minster and the pedestrianized shopping areas of York. It forms part of the walls of York and has historic buildings fronting on to the road. The Council were hoping this would improve the environment for pedestrians and cyclists as well as allowing bus reliability to be improved. The impacts of the trial were significant increases in walking and cycling along the bridge. Our surveys showed just how important the local environment was as a reason to visit York. There were some important traffic diversions which created additional congestion on other parts of an already busy network. This is where the nature of the trial becomes important. Unlike the Stockholm Congestion Charge, no improvements were built in to the trial scheme. Bus companies were not prepared to adapt their timetables in the short run and capacity enhancements at pinch points or pedestrian improvements were not put in place. The outcome of the trial perhaps not wanting to be seen to be pre-judged. There was significant local objection from those residents directly affected by needing to reroute. These were however a small proportion of total trips in the city. The scheme really unraveled because of a very large number of penalty charge notices – up to 4500 a week. The scheme has a surplus of in the region of £750k which was not the intention. A key reason for this was tourists and visitors to the city. Although the restriction was signed, it was not clear to non-residents what that meant. Sat Nav companies were not prepared to reprogramme their software for a temporary time of day closure and so large numbers of people were being caught. The advice the Council received was to issue fines through the number plate recognition software it had. This is in contrast to the introduction of the HOV 2+ lane in Leeds in the 1990s where warning letters were issued for the first few weeks. The Council subsequently received advice that it would be OK to soften the enforcement somewhat but this was too late. The damage was done and the business community support lost. There is a hypothesis in transport that trialling things helps to overcome objections and fear of change. To a degree that is true here. The re-routing of the traffic did not cause chaos, most people were able to adapt and there were signs of a shift to more sustainable modes as intentioned. However, trials are also a window of opportunity for lobbying and where implementation difficulties can be exploited. Timing may also be a factor, as we are approaching a round of elections in the coming year so there is comparatively little political time for the project to bed in. Either way, we need a more nuanced understanding of the role of trials within implementation and we need to consider the implications for future trials (for example of Sat Nav companies not wishing to comply). The Lendal Bridge scheme to me is fundamentally a good idea and indicative of the progressive thinking in the City of York Council. A traffic commission has been established to look at future options. York anticipates a 40%+ rise in traffic levels by 2031, only half of which it thinks can be encouraged to bus and bike. Something else needs to be done. If an incremental approach such as Lendal Bridge doesn’t work then perhaps yet more radical options need to be on the table. Now there’s an implementation challenge on the back of a bloody nose! 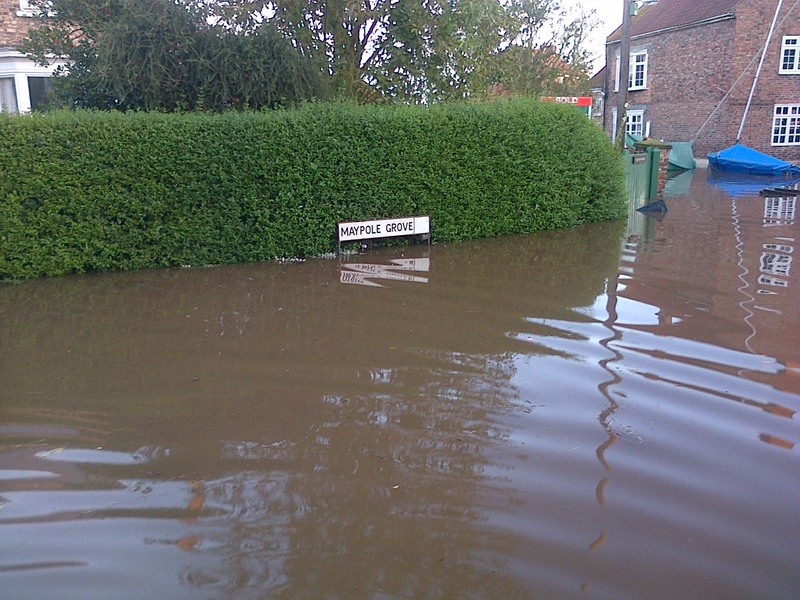 A team of researchers spent the weekend out interviewing people in Cawood, Naburn, Acaster Malbis and York talking to households and businesses affected by the flood. Fortunately the number of houses affected in the areas I visited were small compared with 2000 in part due to the slightly lower water levels and in part due to small improvements to the flood defences which, for example, kept one road out of Naburn open. 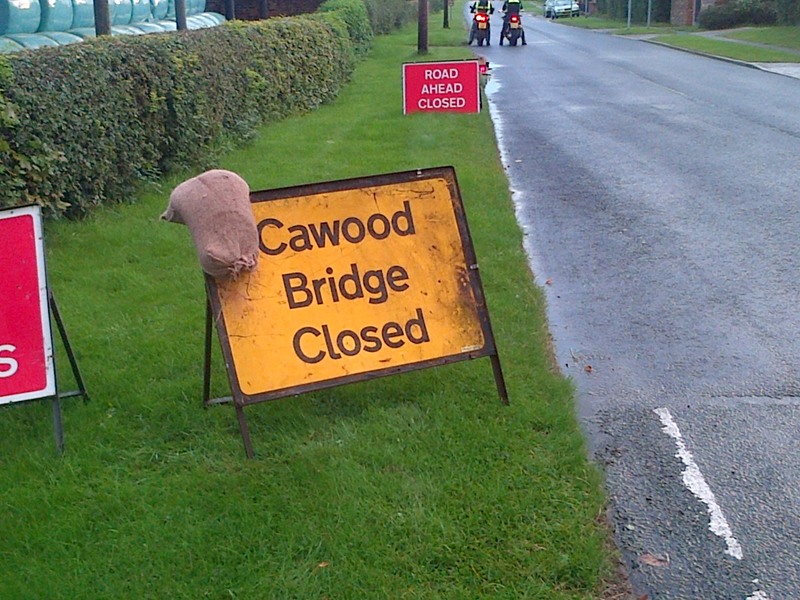 Driving and walking around now, it is hard to believe that there was a flood, with the exception that Cawood bridge remains closed and riverside fields and caravan parks remain under water. It is early days to be able to generalise about what the interviews found. However, the ones I did showed how varied the responses might be. For those who have jobs where work can be done flexibly from home there was little direct impact. That is, unless one also had children who were due to attend the school which was closed. This led to a series of traded favours amongst the community in the case that both parents worked. Arrangements were in some instances quite fragile. Interestingly no-one I spoke with described there as being anything other than an immediate loss, with work being flexible and understanding and workload simply being “caught up” over the coming week or two. Food shopping patterns changed, particularly as home deliveries were unable to be delivered. Most people actually had enough in their fridges and cupboards to be able to get through with a little top up shop at a nearby garage or en-route home. Some of the longer-term residents had stocks of food in the freezer for just such an eventuality. It was surprising to a degree just how ‘normal’ this event was. For someone new to the area there was a sense of calm as the rising waters followed a pattern which others knew and understood. We’ll find out more about business impacts over the coming weeks. I met with a farmer who had to make significant adaptations to their livestock housing and who lost a lot of arable crops at various stages of planting. It will take 2 to 3 years to get back in cycle there. 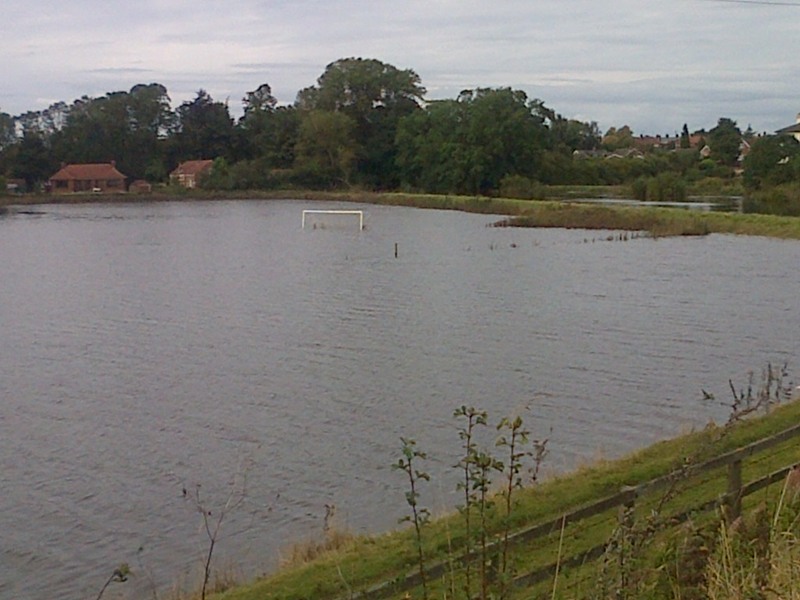 A local caravan park was significantly affected but still had spaces on one high area. However, the lack of local bus service meant that those with motor homes that usually accessed York by bus left the site. 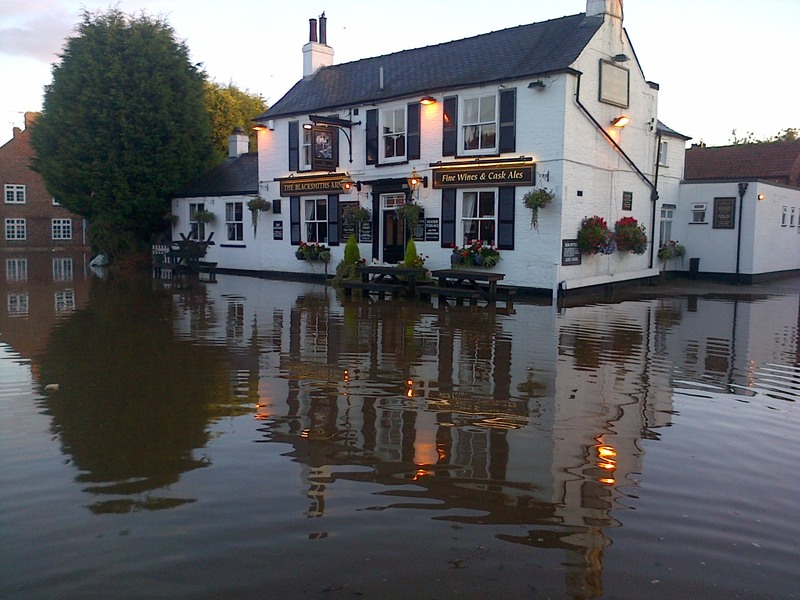 Floods stretch on – what are people doing to cope? Friday afternoon. I’m lucky in that my kids are being looked after by friends in the village – all arranged during the various handovers that happened yesterday. I am in debt again so had better plan not to be working on the next school inset day! Some reflections from people I’ve seen. Long diversions in place for cyclists and cars but its a nightmare getting into York with the A19 shuty and parts of the inner ring road. A neighbour suggested it would be faster to walk to York (we are 5 miles out). I reckon they are right. My daughter said last night and today. Can we keep it like this, its good fun, I’ve kind of got used to it. 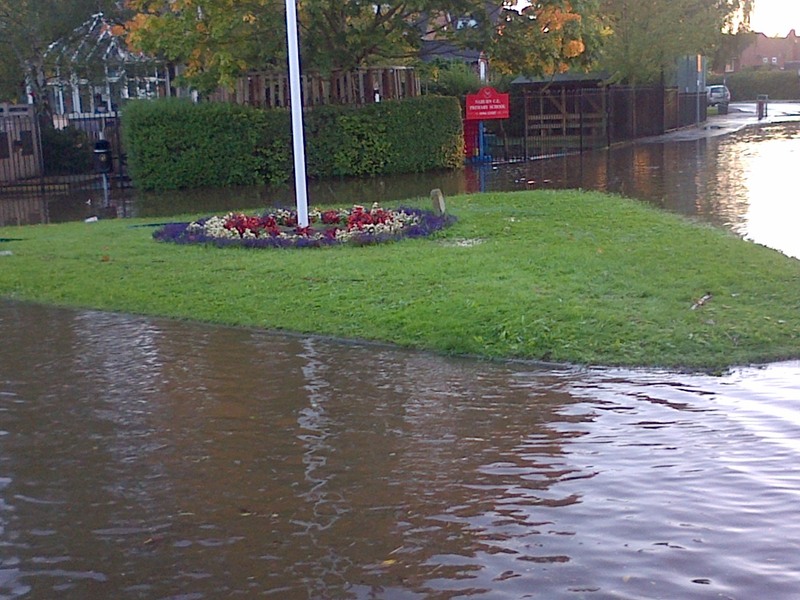 Perhaps its the fun of making it round the village in a dinghy or maybe not being at school. However, there is a sense in which this has all become quite normal – we are only using one car and need to share it. It takes a bit longer to get places and we’re probably doing a bit less than we were. Well that wouldn’t be so bad given how much we are overdoing it anyway. I should add life would be a whole lot less complex if my wife wasn’t away for the weekend and I wasn’t trying to organise surveys to find out more about how everyone else is coping. Got up at 6:50 today to come in to work for my meeting this morning. Had to wade very slowly up the road – not quite the 8:00am peak when it is high tide. Looks like most of the houses will be OK but the roads are impassable within the village. Met the School Head on her way to check out the school at 7:30. First contacts are to the radio and local news channels then back home to post on the VLE – no way you can get kids to the school. Looks like it has a moat. Cancelled the cleaner (very middle class) – will wait to see what unfolds at home with school shut. I am off tomorrow afternoon anyway as my wife is away so will probably fall to her today – may be some reciprocity amongst parents.